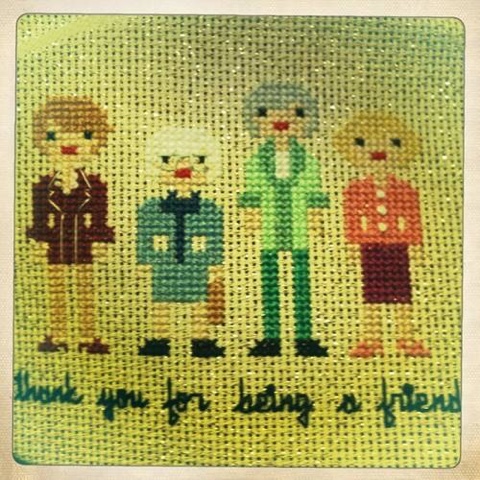 "Thank you for being a friend... Traveled down the road and back again... 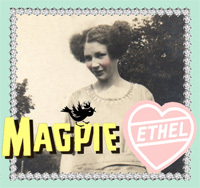 Your heart is true... You're a pal and a confidant..."
Now you'll have that in your head all day. You're welcome. 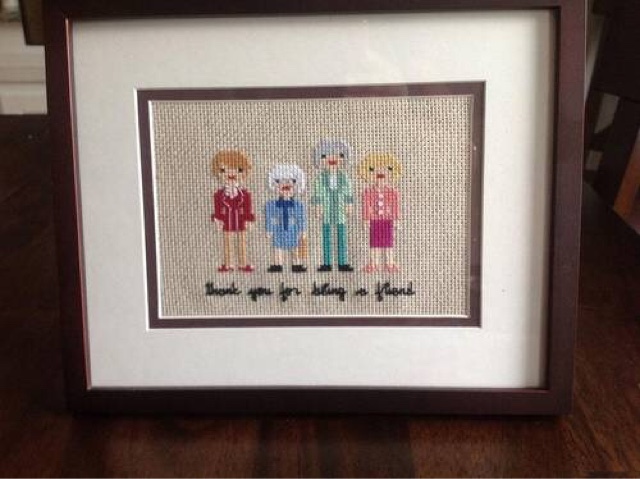 This was a counted cross stitch project that I worked on a few years ago for my college roommate -- we share a long friendship and mutual obsession with the Golden Girls. The pattern is from weelittlestitches on Etsy, and It was a joy to work with.